I ventured out today. After two and a half weeks in a foot cast, I was ready. The sky was an egg, the fall breeze fresh, the sun silky on my arm propped up at the passenger window of the car. There was sushi, at our local place not usually the best, but which tasted great today. There were errands, to the grocery, to the library. I admit, I stayed in my seat and let Gil do the honors, crutches not being my strong suit. But I did make it out of the vehicle and into my neighborhood knit shop in Tarrytown, New York, on my sticks. 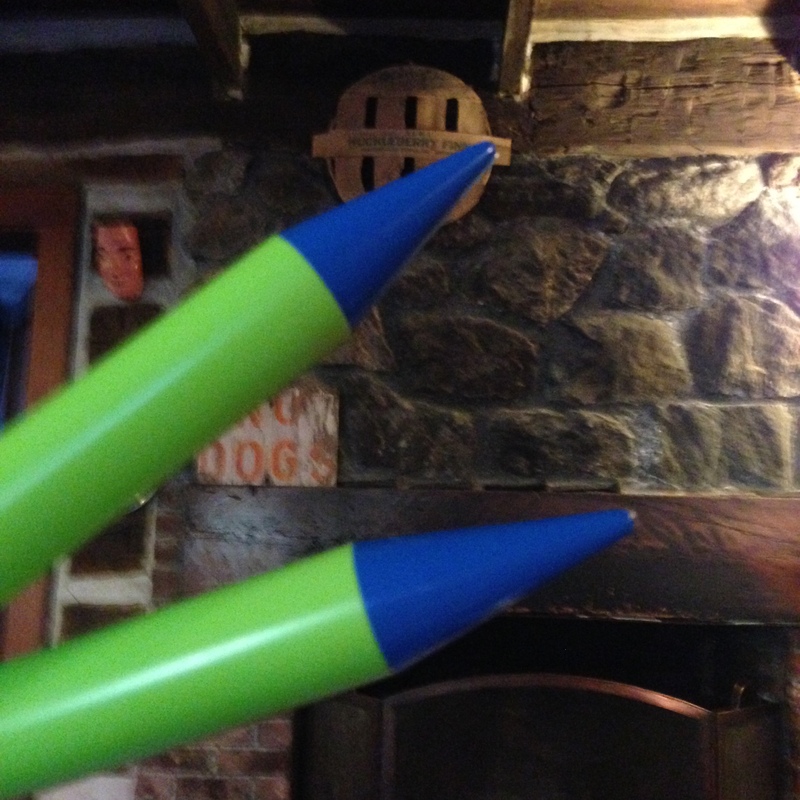 There I got the largest needles in the world, a different kind of sticks, in a size 50. On Ravelry, the site for knitting devotees, I’d found a pattern for an Outlander cowl, oversize, chunky and earthy. Based on one Claire wears in the Starz series. 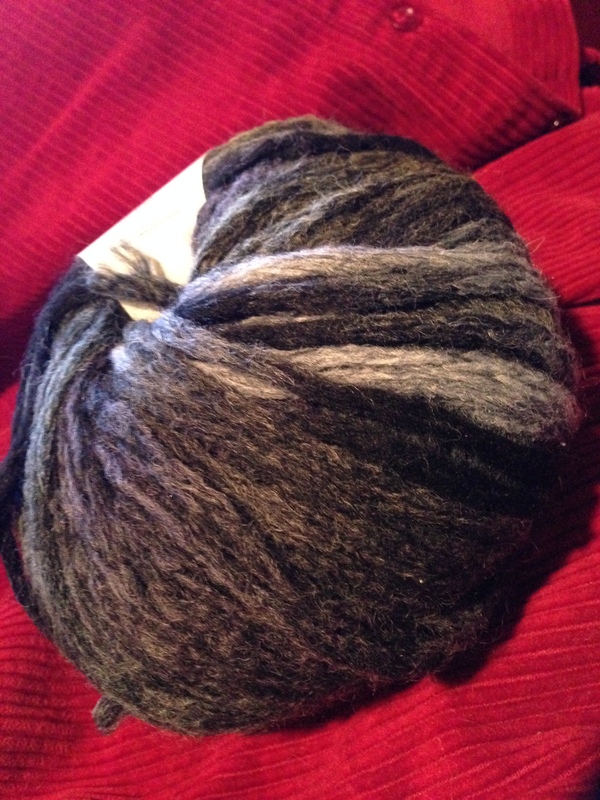 The yarn I found is virgin wool and acrylic, charcoal, heather grey, black and a tinge of blue. Colors one might find worn in the Scottish Highlands 300 years back? I really don’t know, but I like to imagine it. According to one patron of the shop, Flying Fingers, whose friend is crafting a similar cowl, the Outlander look is a craze that’s catapulting across the knitways of our nation. I may be consigned to the couch for the near future, but I’m glad to be part of a larger purpose, fitting us all out in history-inspired gigantic wool neckpieces for the first cold snap. Verra nice cowl! I’m glad you understand… About Being Outlandish.